Horror programmers Shock & Gore and acclaimed food artist Annabel de Vetten team up this June for a one-of-a-kind event inspired by the twisted Sky Living series Hannibal. Marking the launch of the third series of Hannibal this June the event will feature a screening of the very first two episodes of the first season of Hannibal (episodes Apéritif and Amuse-Bouche), accompanied by a “cornucopia of twisted culinary delights” from acclaimed food artist Annabel de Vetten. 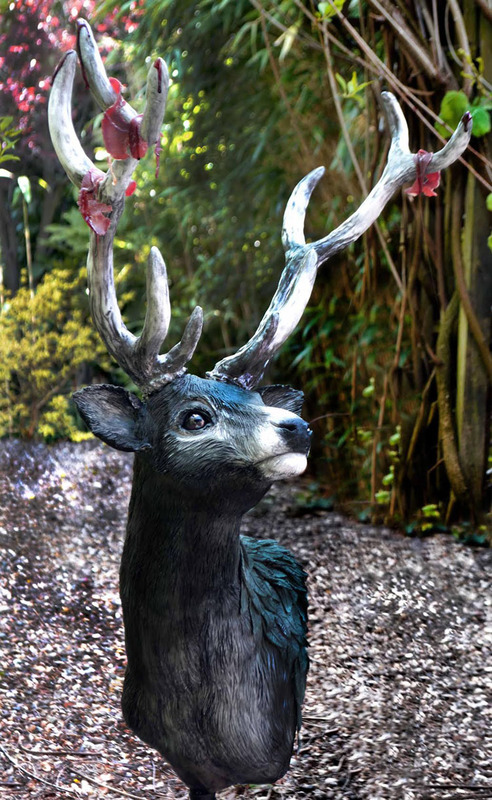 Inspired by the perverse imagery of Bryan Fuller’s critically acclaimed series, audience members will be given the chance to pick and choose from a grand banquet of edible treats in the shape of stag antlers, raven feathers and other unlikely foodstuffs, some served on edible taxidermy. Hannibal: Eat The Rude takes place on Wednesday 10th June at 8pm and tickets are priced between £19.50 and £24.90. This entry was posted in Art, Birmingham, Film and tagged Annabel de Vetten, electric cinema, Electric Cinema Birmingham, Hannibal: Eat The Rude. Bookmark the permalink.